There’s a lot of tales behind this old barn. 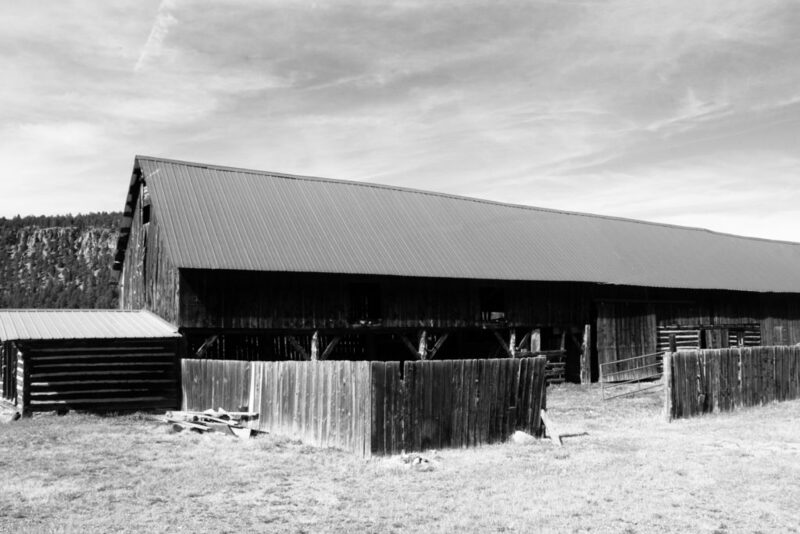 Part of the Million Ranch, my grandma has stories of growing up playing in the haystacks, raising her pet lamb that drank from a baby bottle, and avoiding the meat shed. The current owners of this property made a gallant decision years ago to preserve this old barn and its history, giving it supports and a new roof. My family got a chance to take a tour of the ranch and this beautiful barn the weekend we were all together celebrating my Ginnymom’s memorial. Seeing my niece and nephew take turns swinging on the gate and overhearing my mom and my aunti swap tales of visiting this place as little girls and playing in the fields is something to be treasured. It’s nice to be able to take a moment and remember history. This old barn has plenty memories and of secrets. I wonder what these barn walls would say if they could talk.